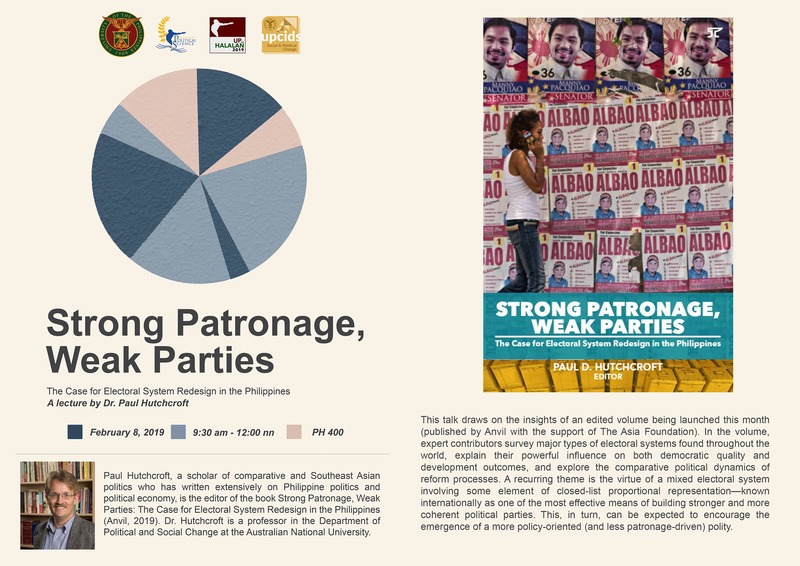 The UP Department of Political Science, UP sa Halalan, and the UP CIDS Program on Social and Political Change (PSPC) invite you to “Strong Patronage, Weak Parties: The Case for Electoral System Redesign in the Philippines,” a public lecture by Dr. Paul Hutchcroft (Australian National University), on 8 February 2019 (Friday), 9:30 AM to 12:00 NN at Palma Hall 400, UP Diliman. Dr. Paul Hutchcroft, a scholar of comparative and Southeast Asian politics who has written extensively on Philippine politics and political economy, will explore the comparative political dynamics of electoral reform processes and their implications for building a more policy-oriented (and less patronage-driven) Philippine electoral system and polity. 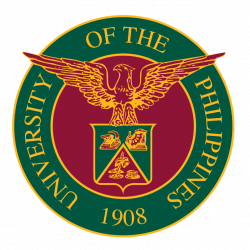 This lecture is part of UP sa Halalan 2019, a project of the University of the Philippines System and the UP Department of Political Science that seeks to promote a clean, honest, and empowering 2019 elections.